Shay Mitchell is the beautiful Canadian actress who came into popularity after being cast as Emily Fields in the Freeform television series, Pretty Little Liars (2010-2017) when she was 21 years old. On the show, Shay played a gay character as well as an aspiring swimmer throughout the show’s running. No doubt the series what a hit especially among teenagers and lovers of teen inspired drama. Now she focuses more on her entrepreneurial passion as well as her YouTube page. Here are more interesting details about her. Shay Mitchell whose birth name is Shannon Ashley Mitchell was born to parents, Mark, Mitchell and Precious Garcia in Mississauga, Ontario, on the 10th of April 1987. From a very young age, Shay discovered her interests in performing arts even to the point of telling her parents plainly that she would pursue such a career. At age five, she was enrolled in a dance school where she took dance lessons and later competed alongside several of her classmates when they toured different cities to battle other dance schools. Her family later moved to West Vancouver, British Columbia when she clocked 10 and within that year, Shay was among the pre-teen girls who were selected by an international modeling agency for modeling events. For her high school education, she first studied at Rockridge Secondary School before transferring to West Vancouver Secondary School where she graduated from. Interestingly, she was given the nickname “Shay Lo” by her friends as a result of the fact that she is a big fan of Jennifer Lopez a.k.a J. Lo. Before she clocked 20 years of age, Mitchell had traveled to different cities such as Hong Kong, Bangkok, and Barcelona, where she successfully walked for a variety of companies. But her passion still lied in acting and this prompted her to return home to Toronto to study acting professionally. Her very first drama series was, Degrassi: The Next Generation, which she was able to get after signing with a theatrical agency. By December 2010, Shay Mitchell successfully auditioned for the part of Emily Fields for the breakout tv series, Pretty Little Liars. The series would then last for seven consecutive seasons with its final run premiering in 2017. In 2011, she signed a deal win Proctor & Gamble to become the spokesperson of a Nature Fusion shampoo line called Pantene. She has also endorsed brands including; Biore, Nike, and American Eagle. After Pretty Little Liars ended in 2017, she quickly landed other series such as; ABC television pilot The Heiress, in which she plays a lead role as well as You, billed to premiere in September 2018. Apart from acting, Shay Mitchell has a lifestyle YouTube channel, she co-authored the novel, “Bliss,” (a young adult novel) with Michaela Blaney. Shay also partnered with David Dean Portelli to unveil her production company named, Amore & Vita in 2017. 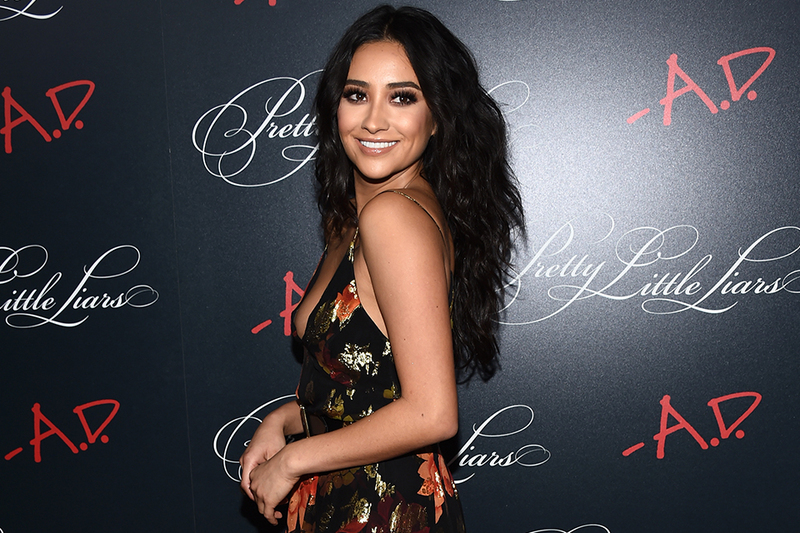 Ever wondered what ethnicity Shay Mitchell truly is from especially watching her on the beloved tv series, Pretty Little Liars? Well, you happen to be in the same position as a lot of fans but the good thing is that we are here to give you the answer you seek. Shay’s father, Mark Mitchell, is an Irish man while her mother, Precious Garcia is a Filipina who is originally from Pampanga and they both work in Finance; so, Shay is basically Irish/Filipina. She also has a younger brother named Sean as well as a famous cousin named, Lea Salonga (a singer and a Tony Award-winning theater actress who originated the lead role of Kim in the musical, Miss Saigon). Is She Gay? Who Is Her Boyfriend? Having played a gay character on the series, “Pretty Little Liars,” for over six years, fans no doubt wonder if the star is truly gay in reality. When she was quizzed by Maxim magazine about her true sexuality, Shay responded saying that she doesn’t put a label on herself, she simply falls in love with a person’s spirit, love is love. Nevertheless, she did reveal that one of the qualities that attract her to a person is “Confidence.” According to her, a lack of confidence from anyone is just a deal breaker. However, Shay Mitchell has been spotted with mostly guys. In 2012, she was rumored to be in a relationship with Jacob Artist; an actor who appeared in the fourth season of Glee. The following year being 2013, she began dating Ryan Silverstein who is currently Drake’s assistant. The relationship was also short-lived as it ended in 2014. 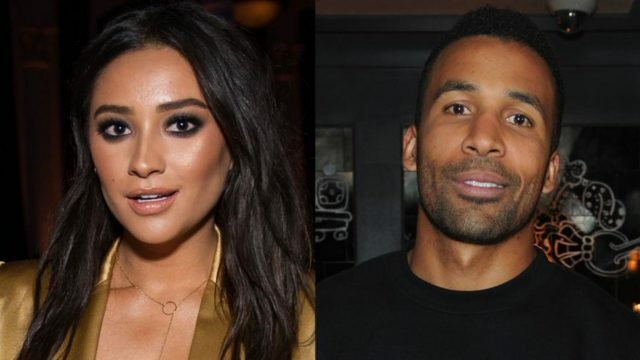 In 2017, Shay Mitchell was rumored to be in a relationship with TV host and music reporter Matte Babel. Though there were pictures of them together, neither of the stars confirmed any romantic relationship between them.